You can Download the game from HERE . 2. To fix the Atomic Bomberman color problem you need to end explorer.exe process from Windows before open Bomberman. 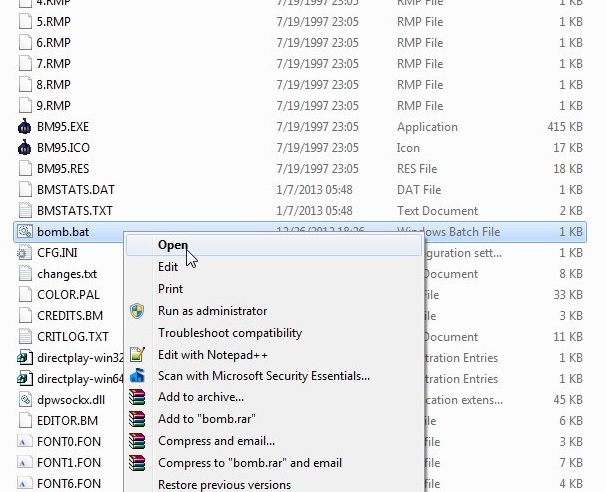 For this you need to run Atomic Bomberman from a .bat file which will close explorer.exe before starting bomberman and open it back when you exist. 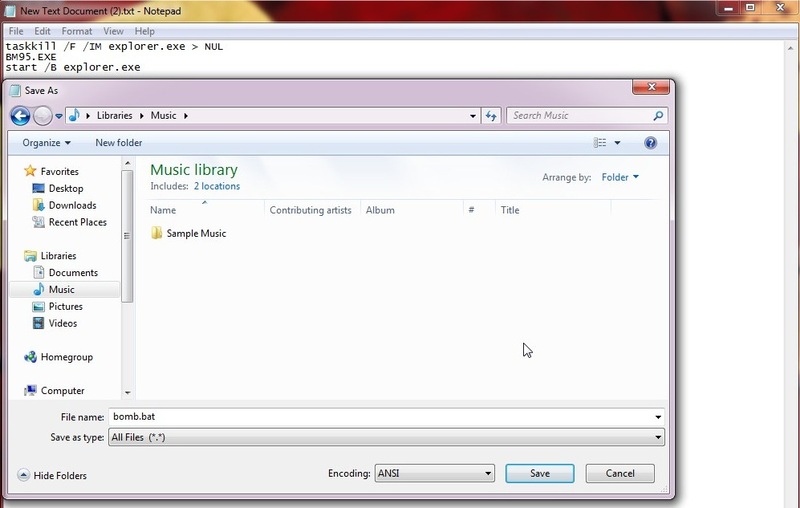 After you download the file, copy it in your Atomic Bomberman folder and start the game with it. Thank you. It worked mate! 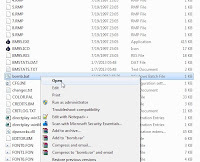 Double check the spelling of the executable file in the Bomberman directory, and make sure it matches what the .bat file is trying to open. Right click on the .bat file and click edit. This should open the text so you can confirm the exact spelling. The executable in the directory for me was spelt 'bombeman.exe' (note the missing 'r' and uppercase 'B') and the .bat file was trying to open 'Bomberman.exe'. Renamed the executable file in the directory to Bomberman.exe and it worked fine. 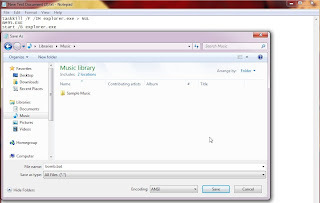 how to make it work for windows 7 ult 64 bit? It's the same for windows ultimate 64 bit, it worked for me. great, thanks so much. this means the WORLD to me! Ita a really a nice blog. This blog help you for solve your windows 7 related problem ,and its fix you error . please visit this link . Any thoughts on how to get a classic joystick to work on a newish PC (USB and PCIx only). If I get a joystick to USB device (see link below) will Bomberman detect it? What if I buy a new USB joystick? Double-clicking on the .bat file from the bomberman folder will launch the game with color. This is totally unnecessary, at least in windows 7 although it may work in 8 too as I haven't had chance to try it on my main machine. You just need to enable "Run this program in compatibility mode for " set to "Windows XP (Service Pack 3)" then enable "Run in 256 colors", "Run in 640 x 480 screen resolution" and "Disable desktop composition"
That's what the compatibility settings are for! I have windows 7 home 64 bit and it does not work. I download Atomic bomberman and there are two Icons BM and BM97. So I download the BM97 and copy it folder. Then I open the game and have the colours problem. Before it start I changed the compatibility mode. When I enable "run in 256 colors" I got a black screen. Nothing helped only a computer restart. Do you have other advices? Works fine in w7 ultimate 64 bit. Thie is simple, compatibility win xp sp3, 256 colors, 640 mode and (important) disable desktop composition. It works for me, I have full hd display. The only downside, you need to set aspect ratio from display. Works on two machines (Win 10 x64) but not on laptop HP 450 G4 with Intel HD 5500. The game just exists. no issue, i try anything you write, any patch or dat or compatibility :[ game running but color mode wrong (unplayable). perhaps video card not compatible ?